Collector's copy: price includes postage and takes condition and scarcity into account. See Description tab for details of condition and the Notes tab for general information about second-hand copies of Descent. With such a wealth of information contained in the pages of Descent, out-of-print editions have become much sought after. To help collectors and researchers, where possible second-hand copies are available to supplement the back issues in stock. Availability of these varies a great deal. Some early and a few later editions are very scarce. Prices vary widely, according both to scarcity and condition – to a collector, creases or a stamped imprint would affect an issue's desirability, while clubs may only wish to have a 'reading copy' to place in the library. In short, expect prices higher than those for back issues – especially for copies in good condition – although sometimes a second-hand copy may be damaged and thus be cheaper than a back issue. Contents lists of the main articles may be found by looking at individual issues. Please note that second-hand stocks can and do change rapidly. Different copies of the same issue may be available at differing prices, depending on condition, so use a search to uncover any others. 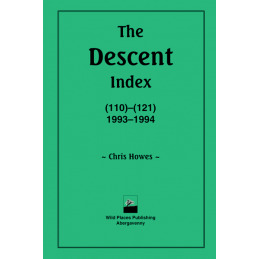 Also note that not all the second-hand stock of Descent is online: if you are looking for a copy in a different conditions, or one that is not online, please contact us to enquire. Descent (32), September 1975 SECOND-HAND Collector's copy: price includes postage and takes condition and scarcity into account. See Description tab for details of condition and the Notes tab for general information about second-hand copies of Descent. 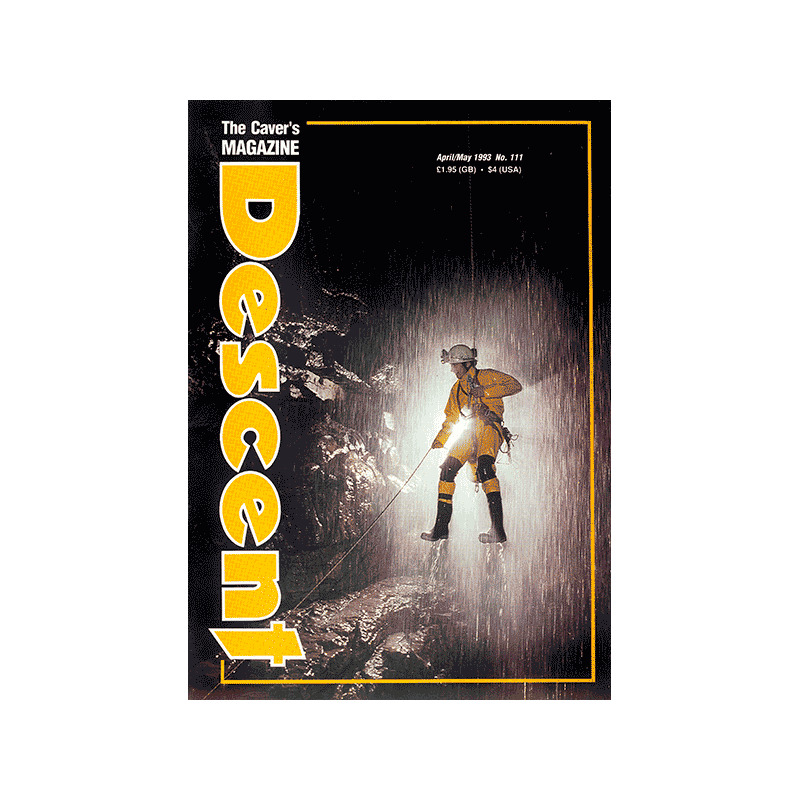 Descent (10), January 1970 SECOND-HAND Collector's copy: price includes postage and takes condition and scarcity into account. See Description tab for details of condition and the Notes tab for general information about second-hand copies of Descent. 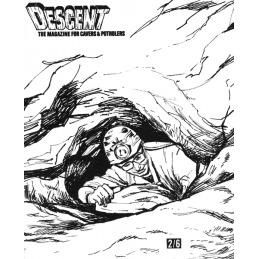 Descent (44), January 1980 SECOND-HAND Collector's copy: price includes postage and takes condition and scarcity into account. See Description tab for details of condition and the Notes tab for general information about second-hand copies of Descent. Descent (43), September 1979 SECOND-HAND Collector's copy: price includes postage and takes condition and scarcity into account. See Description tab for details of condition and the Notes tab for general information about second-hand copies of Descent. Descent (62), January 1985 SECOND-HAND Collector's copy: price includes postage and takes condition and scarcity into account. See Description tab for details of condition and the Notes tab for general information about second-hand copies of Descent. Descent (40), January 1979 SECOND-HAND Collector's copy: price includes postage and takes condition and scarcity into account. See Description tab for details of condition and the Notes tab for general information about second-hand copies of Descent. 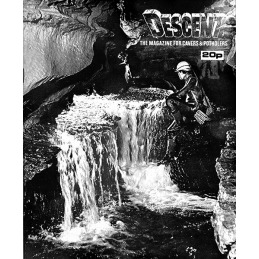 Descent (28), June 1974 SECOND-HAND Collector's copy: price includes postage and takes condition and scarcity into account. See Description tab for details of condition and the Notes tab for general information about second-hand copies of Descent. Descent (31), May 1975 SECOND-HAND Collector's copy: price includes postage and takes condition and scarcity into account. See Description tab for details of condition and the Notes tab for general information about second-hand copies of Descent. 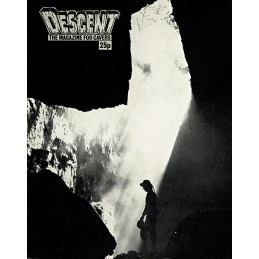 Descent (22), August 1972 SECOND-HAND Collector's copy: price includes postage and takes condition and scarcity into account. See Data tab for details of condition, general notes provides information about second-hand copies of Descent. For posting outside the UK, please contact us direct. 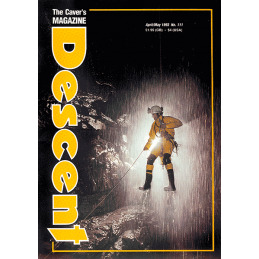 Descent (59), July 1984 SECOND-HAND Collector's copy: price includes postage and takes condition and scarcity into account. See Description tab for details of condition and the Notes tab for general information about second-hand copies of Descent. 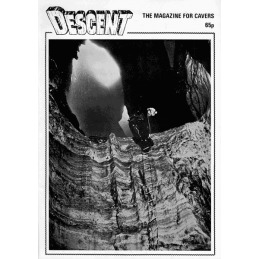 Descent (22), August 1972 SECOND-HAND Collector's copy: price includes postage and takes condition and scarcity into account. See Description tab for details of condition and the Notes tab for general information about second-hand copies of Descent. Descent (30), November 1974 SECOND-HAND Collector's copy: price includes postage and takes condition and scarcity into account. See Description tab for details of condition and the Notes tab for general information about second-hand copies of Descent. 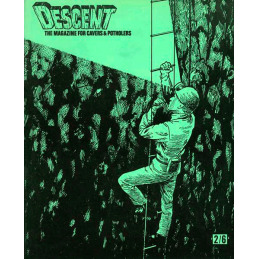 Descent (24), July 1973 SECOND-HAND Collector's copy: price includes postage and takes condition and scarcity into account. See Data tab for details of condition, general notes provides information about second-hand copies of Descent. For posting outside the UK, please contact us direct.